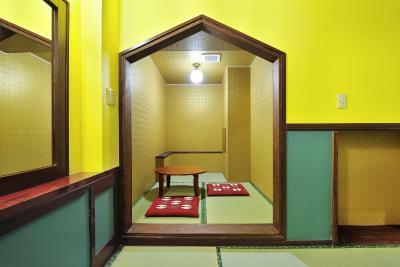 Lock in a great price for Khaosan World Asakusa Ryokan & Hostel - rated 8.1 by recent guests. 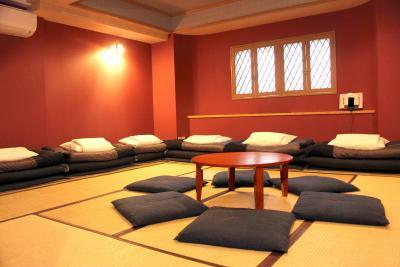 Location next to Asakusa Taukuba station is great. Possibility to have a breakfast (a bread, tea or coffee and jam / butter) that you will have to prepare yourself. Excellent location. Very helpful staff and very nice shared kitchen and lounge area. My kids loved it. The staff is the best! 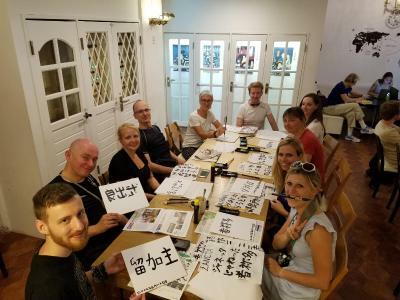 I can make friends and feel like I'm studying abroad in Japan while in Japan. Lovely staff, well located and massive kitchen perfect to prepare a meal. Staff were very helpful, location is perfect👌train station literally 5-10min walk away. Good location, close to many restaurants & shops and Metro. Great location, friendly staff. Perfect room for families! All the staff was great. The bathrooms and kitchen are very good. The staff is very helpful. Shower rooms are clean. 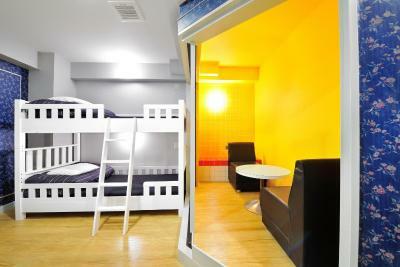 Hostel is near to subway station. Location was great. 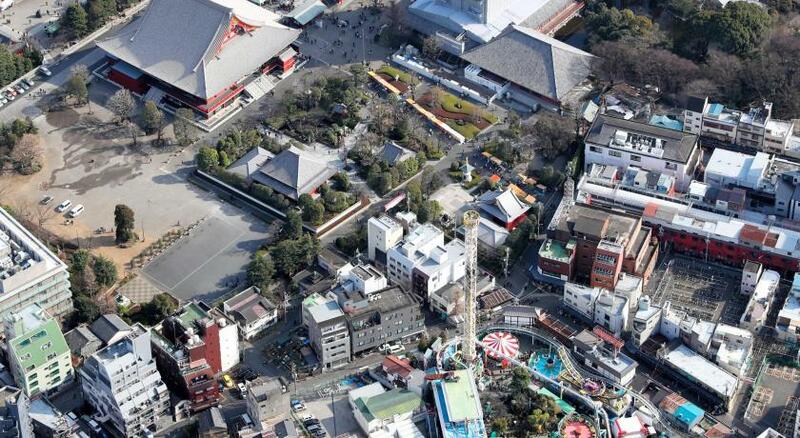 Easy access by train to many sites. 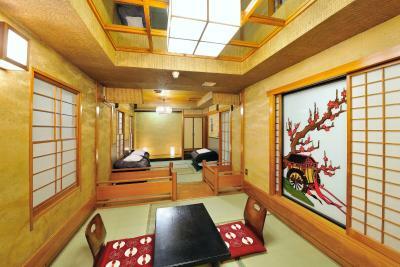 My family of four stayed in a Japanese style room which was great. The kids (10 and 8) loved it. Lots of food options in short walking distance. 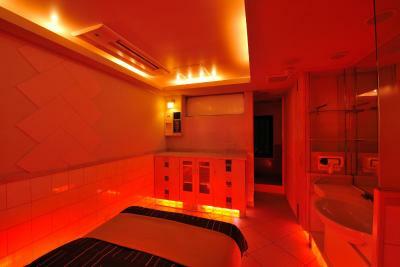 There are no towels in the room but you can rent towels at the front desk for 50yen. Staff were very pleasant. Breakfast is very basic with bread and butter and jam. Some sweet buns too. Tea and kettle and cups were in our room. More tea available in the common kitchen. I would definitely stay here again. 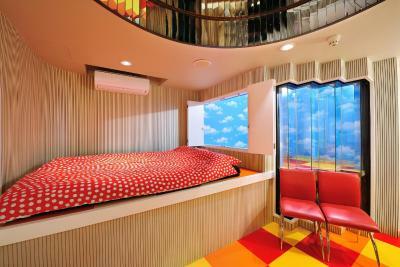 One of our top picks in Tokyo.Khaosan World Asakusa, renovated from a love hotel in 2013, boasts rooms with colorful and pop unique decor. 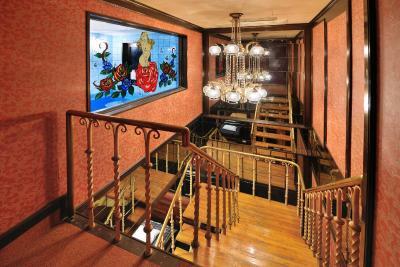 Free WiFi access is available throughout the entire property, and a computer with free internet access is also available. Luggage storage is offered both before and after your stay. 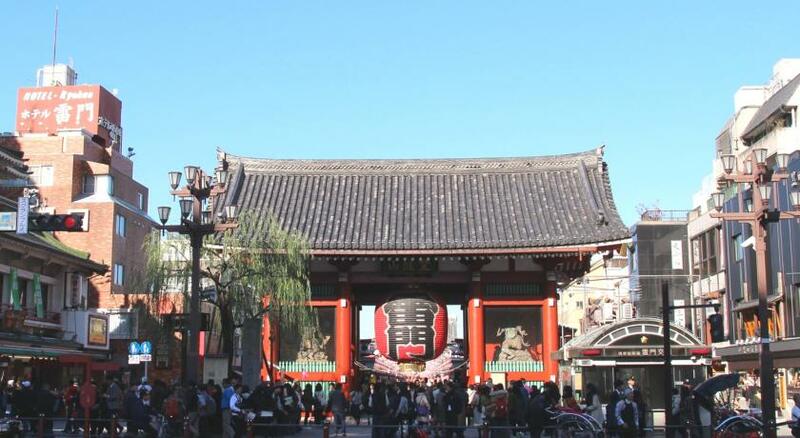 The popular Kaminari-mon Gate and Senso-ji Temple are situated within a 10-minutes’ walk, while Tawaramachi Station on the Tokyo Metro Ginza Line is a 7-minute walk away. 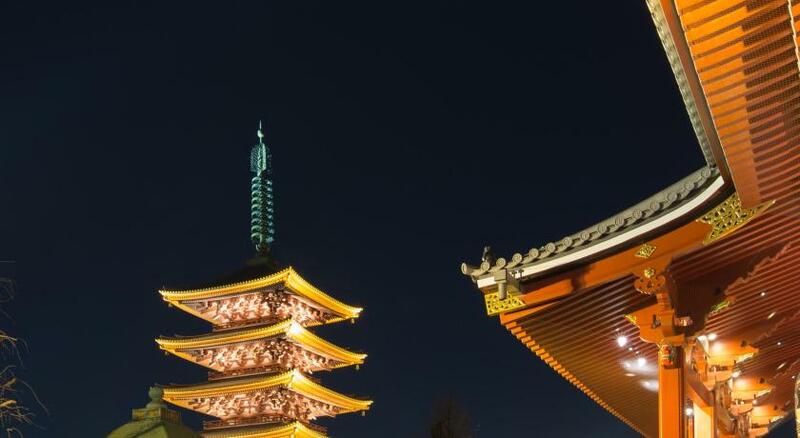 Tsukuba Express can be accessed from Asakusa Station, situated within a minute’s walk from the hostel. 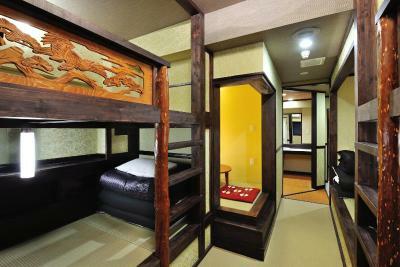 The hostel’s location provides for easy access to the Ueno, Akihabara and Ginza areas. 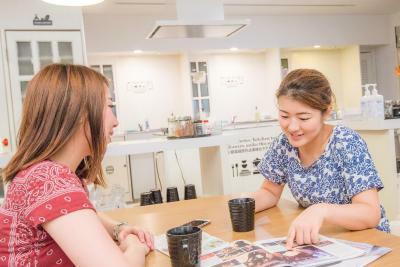 Guests can also enjoy a visit to the Tokyo Skytree, situated a mere 3-minute train ride away from Asakusa Station on the Tobu Line. 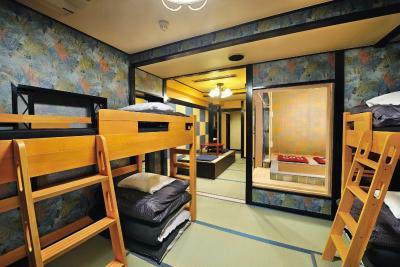 Khaosan World Asakusa features private guest rooms and female-only and mixed dormitories, which are all air-conditioned with a personal locker. 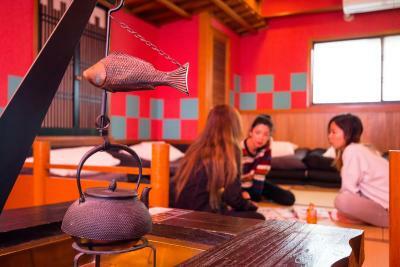 Guests will find a shared lounge, a shared kitchen with complimentary coffee, English tea and green tea. There is a travel information desk on site and laundry services. No meals are provided on site. Guests can grab a drink from the drink vending machine in the building, or make use of the shared kitchen equipped with cookware. 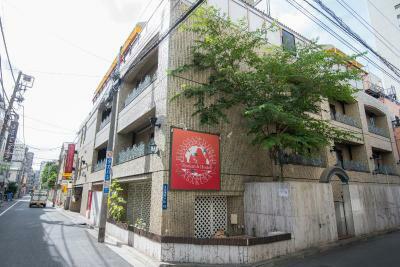 Khaosan World Asakusa Ryokan & Hostel has been welcoming Booking.com guests since 23 Oct 2013. 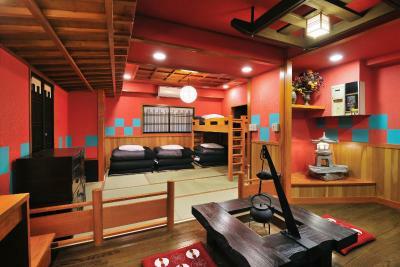 When would you like to stay at Khaosan World Asakusa Ryokan & Hostel? Please note children of all ages cannot be accommodated in this room. 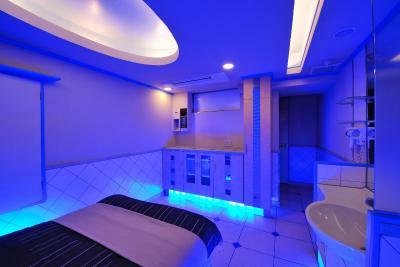 Shower booth and toilet are in the dormitory room and shared with other guests. Please note that children 11 years of age and younger cannot be accommodated in this room type. Bathroom and toilet are shared. Please note that children 10 years of age and younger cannot be accommodated in this room type. Property surroundings – This neighbourhood is a great choice for travellers interested in temples, city trips and city walks – Check location Great location - show map Guests loved walking around the neighbourhood! 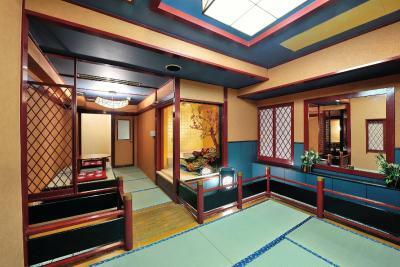 House rules Khaosan World Asakusa Ryokan & Hostel takes special requests - add in the next step! Khaosan World Asakusa Ryokan &amp; Hostel accepts these cards and reserves the right to temporarily hold an amount prior to arrival. Khaosan World Asakusa Ryokan & Hostel accepts these cards and reserves the right to temporarily hold an amount prior to arrival. Free luggage storage and other services outside of check-in hours are available between 08:00 and 22:00. In-room WiFi may be weak in some rooms. The property recommends guests use laptops over smartphones or tablets to access WiFi. 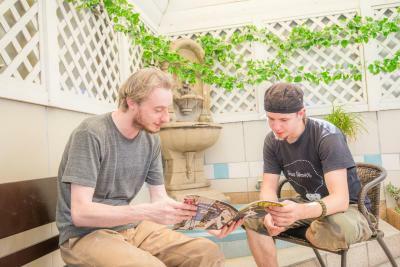 - Upon request, the property will try and accommodate groups in the same room, but availability is not guaranteed in shared dorm rooms. 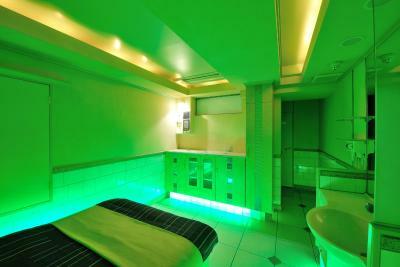 Guests are advised to book private rooms to stay together. - Please note that the maximum occupancy of the room includes all children 7 years and older, and cannot be exceeded under any circumstances. Guests may not be accommodated if there is no availability. 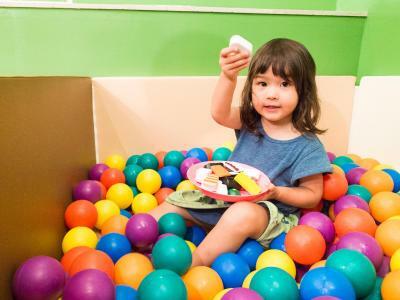 - Please note that child rates are applicable to children 6 years and younger and adult rates are applicable to children 7 years and older. 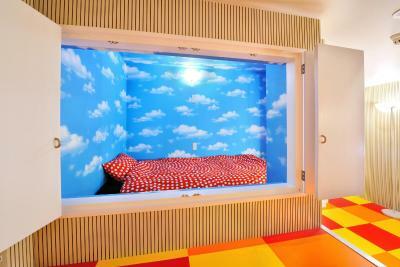 Please indicate the number of children and their respective ages in the special requests box at time of booking. - Please note that children 10 years of age and younger cannot be accommodated in dormitory rooms. 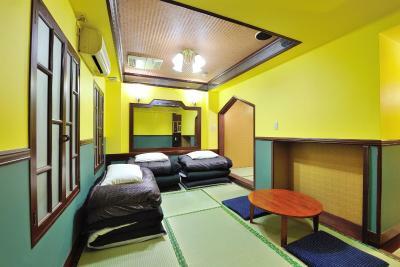 * 1-minute walk to a bus stop (Asakusa View Hotel Bus Stop) from the property. It is not a recommandable place for a family. Our modern Japanese room was dark (shades were broken), many flakes or even a hole in one of the walls. 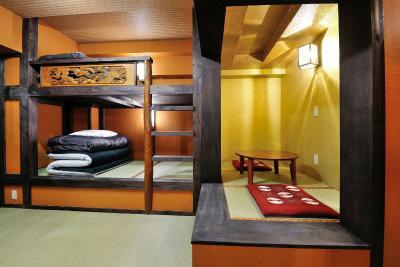 The futon beds were so thin that it was the single place in Japan where we would have preferred a classical bed. No one will clean the room during the stay...but I hope they do so before your stay. You have to pay to rent towels. The staff was great but was not able to receive a delivery at our attention (wifi portal) because the booking name was not the same as the parcel even though they got all the names so be sure to put the same name on the parcel delivery than the booking. 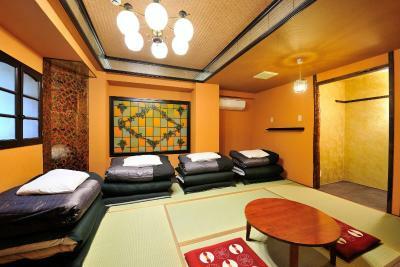 Good Location nearby Tawaramachi metro station. The shower room is quite small. The towels are not available in room, must pay more. Good location. 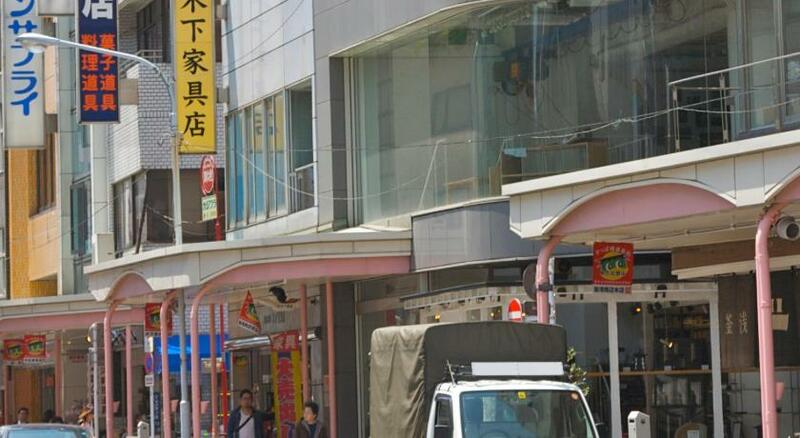 Near tsukuba express line, good restaurants and shopping steet. The room temperature was very cold... For some reasons they would turn on the heater on the ground floor but not in the rooms... 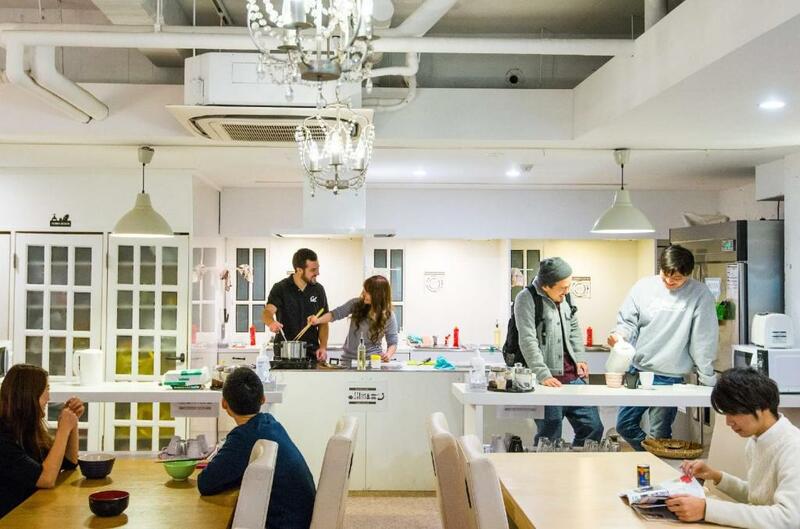 The common areas have no windows, basement style, defo not a place you want to chill but ok to eat/sleep. The main issue during my stay was the sink in the room... 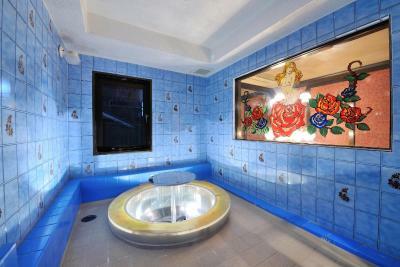 There's a shower room and separate toilets but then the sink is in the room. Clever people would tend to use the bathroom outside of the room to brush their teeth etc... but some people wouldn't care and so they'd start using the sink very early or super late with makes impossible to sleep... Also, curtains to give some privacy in bed would be really great... 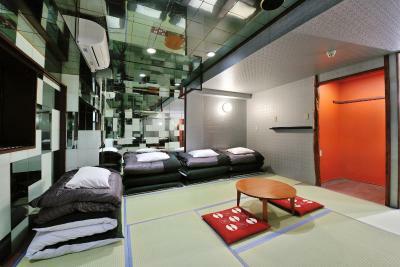 Overall, not the best hostel in Tokyo but still decent for a night or 2. Lack of confort in the dorm, no hacks, no shelves to put the things for 5 people, no hangers in the shower, The dining room is small, no clean, poor breakfast. Poor Wi-Fi signal. For 1 night is ok, but not for more. Needs an update!